“What are content writing rates per word” is a common question. Whether you are a looking to hire a writer or becoming one, the question remains – how much? Look no further, because we’ve scoured the internet in the search for the fairest per word prices. As you probably know, the latter is no easy task. There is no such thing as a universal price when it comes to content writing services. Content marketing is a huge business. It generates leads, increases traffic and, consequently, brings people money. Therefore, it’s fair to say that the supply of content writing services is abundant. It seems like you should charge what you’re worth and pay for the quality you receive. But, that’s not really the kind of world we live in, is it? 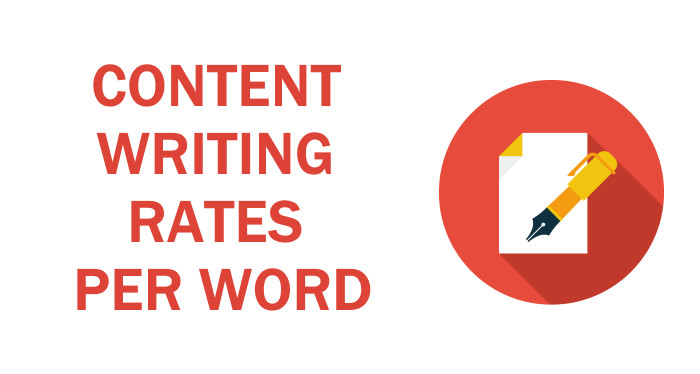 Therefore, we have assembled the list of best companies that provide content writing rates per word that won’t cost you an arm and a leg. So, how much does content writing rates per word? All right, here it is – it varies between $0.01 to $5. That’s not really helpful, is it? But, it’s the truth. Sometimes, we need a little context so we can work out whether a price is reasonable or not. And, that goes both ways, as well. If you’re hiring someone, you don’t want to come off as cheap and underpay them. That’s not the kind of business you want to be known for, right? On the other hand, if you’re a writer with prices on the lower end of the scale, you might be perceived as a simple amateur. So, we all want to hit that sweet spot, the fairest of them all – the average price. The content writing industry is growing every day. With businesses relying on it to a greater extent than in the past, it’s not an unfair question to ask. Blog posts and web pages can be billed either per word or per project, while you might have to pay an hourly rate for a technical business-related article. Pricing pieces by the word is easy to work with, and it also seems more sincere. You get exactly what you paid for, not a word less. That’s why companies love that system – offering content writing rates per word builds mutual trust. First of all, it is especially relevant to establish what precisely goes into forming a price. Some people have unrealistic expectations when it comes to content writing rates. They think writing content is no big deal. You just need to sit down and write something; therefore it shouldn’t be expensive, right? Well… it’s not really that simple. As a matter of fact, a lot goes into creating web content. To produce a stunning piece that attracts readers and turns them into leads and customers, you need to be able to juggle a lot of different hot potatoes. The first potato being, of course, the talent, but, besides that, there are other things you need to factor in when forming a price. Conducting quick, in-depth research is a neat skill to have. Amazing content writers are able to do just that and present the information in a factual and effective manner. But, you have to take into account the amount of required research for your piece. You will be charged more if there’s a need for in-depth research. Likewise, the price will be lower for pieces that can be done with light research. Oh, the dreaded search engine optimization. SEO quality and keyword strategy also go into forming a price, because, on today’s market, they’re practically mandatory. Depending on what you want your content to accomplish, a writer might use a different tone, voice or approach. That all affects the price. Not everybody has an excellent command of the language. That, combined with flawless grammar, is a skill that can be monetized. Being concise yet impactful is a writer’s greatest weapon. You might be able to go on and on about your product, but can you describe it distinctly in just three words? An incredible content writer can, so they can charge big bucks for it. Understandably, the experience level hikes up the price. This pricing format will give you leeway because you can precisely format your requests according to the per word price. Of course, you might be happier paying your writer by the hour or per project. Your choice needs to meet all your demands; therefore it’s important to make a sound decision. If you think companies that offer content writing rates per word are the way to go – we’ve compiled a list of the best ones. Finding that sweet spot of perfect harmony between price and quality is easier when you have all the prospects in one place. So, without further ado, here they are. Freelancing platforms are the cheapest way to outsource your content. On platforms like Fiverr, UpWork or Freelancer you can submit your proposal and wait for writers to bid on it, or you can choose a writer or a service and contact them directly. This way you can choose the billing format too, as writers display content writing rates per word, per hour or per project. On these platforms, you can find writers willing to do your work for a price as low as $0.001 per word. While it’s great that these platforms are budget-friendly, it’s unrealistic to expect incredible quality for such a low price. If you are really conscious about staying on budget, outsourcing to freelancers might be the best way to go. But, the downfall is that you might be buying a pig in a poke. You never know what you are going to get. Don’t get us wrong; it is entirely possible to hire a great writer who will produce supreme content at a bargain price. But, more often than not, the quality of service won’t be at an eminent level. That being said, the variety of prices on these platforms offers you the option of analyzing and determining the best quality-price ratio. If you are willing to pay a bit more, the quality will surely improve. No matter what kind of content you need, on these platforms you can find a person capable of writing it for you. That is one of the benefits of using them – you can get so much done at one place. While they sometimes are a hit-or-miss kind of deal, outsourcing to freelancing writers on writing platforms can be a great experience. The supply is abundant, so you will surely find the writers with content writing rates per word who will meet all your needs. We have written a detailed review about EpicWrite , which you can read here. In almost ten years since they first started content writing, Epic Write has dominated the content writing market as one of the cheapest services available. They offer distinct services to small businesses, online marketers, and web developers, and have content writing rates per word. Epic Write has a very minimalistic website as well as a straightforward service offer. You won’t get the runaround with this company as they have clearly marked all the information you need. Still, they don’t really offer any information about themselves, their writers or the process of ordering content from them. That is why we couldn’t rank them higher on our list of services that offer content writing rates per word. Nevertheless, you can’t miss the crucial information – how much it costs. Epic Write offers services at three levels of experience and, as a result, three different price points. For $0.008 per word, you will get a 3-star quality piece, delivered to you in 7 days, and one free revision. For $0.01 per word, the quality rises to four stars and the delivery time is 5 days. This option also includes one free revision and proofreading. Finally, for $0.12 per word, you will get their professional service. That includes a five-star quality piece written by a native English speaker. As part of their “professional level” service, you will get an unlimited number of free revisions, free proofreading, and editing. Other than that, no additional services are available. Epic Write doesn’t really have an offer as versatile as one might want. So, customers that might need something else, other than content writing, will have to look elsewhere. Still, at such low content writing rates per word, this company has a pretty decent assortment of services. Copify is a UK-based content writing service that offers to source quality content from a network of highly experienced writers. With hundreds of writers on their retainer, this company will begin to process your order immediately after you submit it. Their website is very easy to use, and they have a page called “one minute order,” which in itself tells you that the process of ordering is pretty straightforward. Copify is not one of those platforms where you can browse through the writer’s profiles and choose the one you like best. They will match you with a person most qualified to complete your order, based on the requirements you specified. Copify is one of the companies that offer fixed content writing rates per word. Any type of content writing comes at a price starting at $0.056 per word. You can also order blog packages, but for those, you’ll have to pay around $97 per month. Complimentary to all kinds of content writing services, Copify has a great system of tracking and managing your orders. Their easy-to-use ordering program allows you to keep all your orders organized. They pride themselves on the fact that no order is too big – neither for them nor for you. They can accomplish it, and you can keep track of it. In addition to generating fantastic content, another advantage of Copify is that it exclusively hires native English speakers. They are also a speedy bunch, as they deliver orders, on average, in just two days. What started as a minute service in 2011 is now an eminent, professional company. Text Master is primarily a translating company, but they do offer content writing services. In fact, their translating services might come as a plus to customers who might need bilingual content. This company’s motto is “simplicity and quality finally working together.” That sounds like a great incentive, as that is precisely what you want your content to be like. Text Master offers content writing rates per word, but they do vary depending on the area of expertise of the writer. Text Master has two different prices, depending on the level of expertise you choose. The standard level of service costs $0.066 per word, and it includes content written by verified and thoroughly vetted writers. Hence, this service is recommended for general web projects that are simple and require light research. The enterprise level of service costs $0.132 per word. They recommend this service for more technical pieces and texts that are specialized in the subject. That kind of content will be written by a professional, experienced writer. Unfortunately, this company doesn’t include extra proofreading in their price. That is considered an add-on, and you’ll have to pay extra for it. You’ll also have to stretch your budget a bit more if you want a rush service or a higher level of expertise of your assigned writer. This company offers one nice, unexpected bonus. You can watch live as your writer is completing your order. That offers a rare insight into the process of writing. Based on that, you can draw some conclusions – for example, if you, in fact, got the level of expertise you paid for. Text Broker is a top-rated content writing service. This company offers content writing rates per word and a choice between thousands of content writers. This company is actually a content marketplace. That means that you can submit your requests and any writers that have the expertise needed can apply. That is a plus if you need to order a bigger number of similar texts. Because you have thousands of writers at your disposal, bulk orders are a piece of cake. It also means that your order will probably be picked up quickly and delivered within a day or two. You can also keep notes of your favorite authors, and choose only between them for future projects. However, if you are a new customer, you’ll have to go through a submission process. Don’t worry – it is very user-friendly. Now, Text Broker has wide-ranging price levels. Not only does the author level vary, but so does the service level and the type of order. So, while their starting price point might be low, when you factor in all additional elements, the price might turn out to be higher. For example, the author level varies between two and five stars. If you place an open order, meaning you don’t want a specific person to write your content, you can pay between $0.013 – $0.072 per word. But, if you have a preferred writer or want a team to execute your content piece, the price will skyrocket fast. Besides producing all kinds of content, Text Broker also offers a “managed service” option. With this option, you get additional support and a personal account manager. For a price, of course. Fast service and the option to submit a large number of orders placed this company in the sixth place of our list of best companies with content writing rates per word. Natasha Nixon is a content writing company that offers a premium service at a very low price. It is the number one content seller on Fiverr.com. Customer service is clearly a big priority for this company because it has over 11000 positive customer reviews. Now, some companies might fly under the radar and seem excellent but turn out to be duds. But, when you have thousands of people testifying to the quality of service, you just have to believe them. 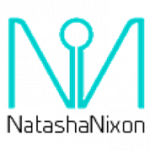 Natasha Nixon has a simple service and simple pricing – they offer SEO writing and authority content writing. These services differ based on the amount of research required, the skill level of writers and, of course, the price. Both offered services are written by native English speakers, and the texts are fully search engine optimized. The services also include free revisions. The SEO article service costs $0.015 per word while the authority content costs $0.079 per word and is deeply researched. As mentioned, the tendency towards minimalism means there are no other services available. However, free revisions are included in the price, and the turnaround time is less than 5 business days. Natasha Nixon has an incredible quality-price ratio and easy to use services. No additional and hidden costs and the unbelievable customer satisfaction rate placed this company near the top of our list. Text Royal is an Edinburgh-based company with over ten years of experience in content writing. Their content writing rates per word are more than fair, and the high quality of their services places them in the top half of our list. This company offers authentic and unique content produced by competent, professional writers. The writers are UK natives and educated not only in content writing and copywriting but in various other fields, which helps them write factual quality content. Text Royal calls itself “people-powered writing service” because they are very proud of the fact they don’t use any kind of writing program that would simulate original creation. They offer a variety of services with fast turnaround time. This company offers very reasonable prices. That is always a big plus, but, on top of that, the prices vary depending on the service. That way, if you need a smaller, simpler piece like a blog post, it won’t cost you as much as a more complex text like product description. All kinds of content writing services are available. They also have project managers as part of their team, as well as recruiters and writers. They will all work hard to produce an original, compelling text for you. This Boston-based content writing company has an A+ rating with the Better Business Bureau. It works as a platform, but is fairer than most – the writers who work for Writer Access keep 70% of the money you pay, while the company only takes 30%. That’s less than many other companies out there, and it provides an added incentive – better-paid writers work faster and enjoy their jobs, which is reflected in their writing. With over eight years of experience, Writer Access will provide you with any kind of service you need. That means that you can choose your writer, or team of writers, the price you are comfortable with and the turnaround time. Therefore, this company is very budget friendly in a way that no matter how high or low your budget is, you can afford one of the services they offer. That sets them apart from other companies that often have more of a narrow price range. The prices vary based on the star rating of the authors. You can choose between 3, 4, 5 or 6 star-rated writers. Writer Access teams include not only writers and editors but analysts and strategists as well. That is an amazing bonus for customers interested in developing a larger marketing plan. Content planning and brand building are also available. This versatile service opposite such a low price is a rare match in the field of content writing. Crowd Content is a digital marketing company devoted to producing quality content for agencies, brands, and retailers. This company offers an easy to use website and comforts their clients with the assurance that they will match them with the perfect writer. Because there’s no need for negotiating or scouring writers profiles, the service is easier to use. One of the biggest benefits Crowd Content offers is swift turnaround time. Most orders are same-day deliveries. Their writers receive bonuses based on their “words per hour” rate, thus delivering the content faster (in their favor). Crowd Content has some very motivated writers, as they implemented systems of ratings, bonuses, and promotions. Every piece a writer produces is rated, and based on the overall score, the writer is either promoted or demoted. That means that it’s in the best interest of writers to produce the best possible content while doing it as fast as they can. Not a bad guarantee for an excellent quality-price ratio. Prices of regular content, like blog posts, web content, press releases and such, vary depending on the competence level. You can choose between entry level, freelance, professional and expert level, and those will cost you somewhere between $0.02 and $0.12 per word. For more complex pieces which require more research, the prices are $0.055 and $0.1 per word. They offer managed content services for agencies and enterprises as well as automated campaigns. GoSuperb has been around only since 2015, yet it has managed to accomplish a lot in that brief period.That is why it takes the coveted number one place on our list of best companies that offer content writing rates per word. This Netherlands-based content writing service offers a (pun intended) superb quality of writing. What sets GoSuperb apart are their dedicated writers with amazing English proficiency. Their guarantees and low prices are also a big plus. While there are a lot of companies that offer low-priced content writing services, GoSuperb is a rare gem that has not only low prices but an unmatched quality of writing and very strict respect for deadlines. In-depth research is a given with this company, although you will have to pay a bit extra for it. Depending on the turnaround requested, amount of research required and the writing level, you will pay for your piece a price between $0.0195 and $0.0295 per word. As a highly developed, professional content writing company, they offer an abundance of related services. Besides that, an additional feature is their money-back guarantee. That is what singles GoSuperb out on the market and exudes confidence and reassurance. Namely, if you find just one grammar mistake in the ordered piece, you get your money back. All of it – no questions asked. But, don’t start hoping too soon, as it is very unlikely that you will manage to find one. Overall, there are genuine reasons why GoSuperb ranks as number one on our list of companies with content writing rates per word. Giving them a try might turn out to be your business move of the year. If you aren’t sure whom to hire, we have lists of Best Online Writing Services and Best Writing and Editing Services to help you make the right choice. On the other hand, it’s also possible to hire good writers for a lower price here: Cheap Custom Writing Services and Cheapest Content Writing Services.